- Mainframe: 2" x 4" high-tensile strength steel. All 4-side welded. 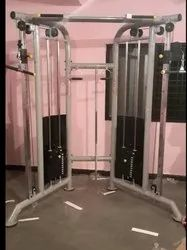 It Shows a variety of multi plane, multi joint, connective chain movements that will incorporate all muscle groups and joints for optimum results. 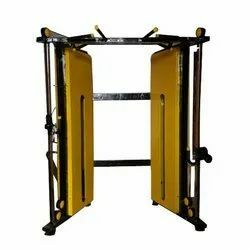 We are offering a wide range of Functional Trainer Machine. Weight Stack: 100 x 2 Kgs. Each Plate wt: 5 Kgs.